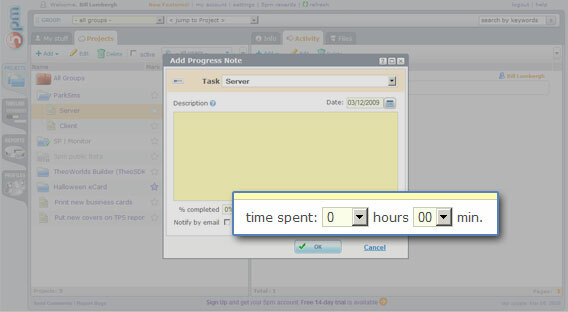 When adding a Progress Note, you can also indicate the time spent on a task. 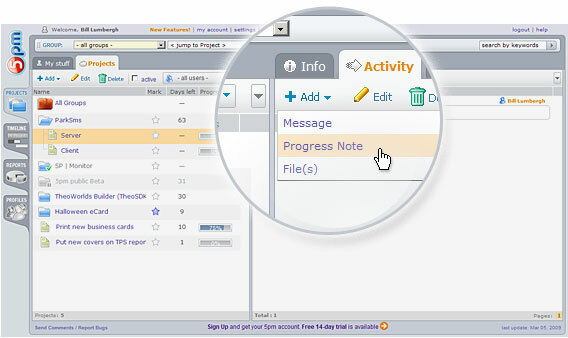 You can add multiple Progress Notes to a task. You can display the Estimated Time and even measure it against the actual time spent (reported through Progress Notes) in the left panel, by adding the "Hours" column to it (using right click on column headers). 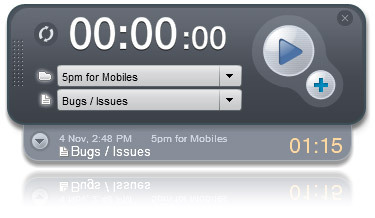 You can also use our desktop Time Tracker widget to easily log and submit time to 5pm. Find more about the Time Report on this page. Check Time Tracker desktop widget!